We acknowledge the receipt of your mail with regard to the winning notification as earlier sent to your E-mail. The 2010 Coca-Cola/Windows Live E-mail Award is no doubt, a momentous achievement in the checkered history of this Corporation. You have been Awarded GB₤750,000.00 (Seven Hundred and Fifty Thousand Great Britain Pounds). On behalf of the entire staff of the Organization, I wish to congratulate all non-Governmental Organizations who have in no little way contributed immensely towards the success of this draw as well as taking concrete steps towards it's actualization. Your E-mail Address was selected randomly through our Computer Ballot System from World E-mail Telephone Directories. 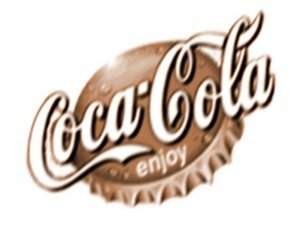 This promotion is part of the financial empowerment programme of the Coca-Cola Company of United Kingdom (CCC) in it's desire to Reward our Numerous Customers Worldwide. While basking in the euphoria of this achievement, I wish to seize this opportunity to acquaint you with guidelines you must follow in order to complete your claims. On our part, we have a mandate to see you through. We will work assiduously to realize this mandate as we respect your views, opinions and most importantly protect your Privacy. The following PIN# (Personal Identification Number) has been assigned to you and you are required to quote it in every mail that you send to us: CCC-09IMD1511. You are warned to keep your winning information to yourself until your fund is released to you to avoid double claim which will lead to absolute cancellation/termination of Award. We also do not tolerate Laxity and inconsistency in claim. NOTE: This Draw is solely conducted by Coca-Cola Company, United Kingdom and cannot be claimed through any of our Regional Offices in your Country/Area. All communications must be through CCC, United Kingdom. We try to respond to every mail as soon as we can. Once again, We congratulate you for this landmark achievement and implore you with the responsibility of ensuring successful claims. We shall get back to you with the Fund release Directives on our receipt of your personal details as requested above.